It is hard to understand the love Jesus had for man when He knew what was to happen to Him. The Son of God knew why He was on the earth. He talked often about the manner of His death. Crucifixion was where He was going. All of the horrors of the scourging and being nailed to a tree were vibrant in His mind. This was not going to be a chance happening or come as an unexpected rejection by His own people. God’s will brought Him to die and His Father’s will knew the Jews would reject the Son. Jesus Christ came to earth to live in human form to die in human form to be raised by the power of His Father. Jesus the man struggled with the reality of death. It was a cup He would bear for the love of His Father but it was not going to be an easy thing to do. Jesus did not calmly walk to the cross like a robot. Long before the Passover feast and the Garden of Gethsemane, the man from Nazareth thought long and hard about His death. Redemption of man would come at the expense of His blood shed on a cross. Life would not be given to man until Jesus was given life from death. Jesus hated His life to the point of the cross. His example would be the model of devotion for all His followers. The death of Jesus was not entirely focused on saving man from his sin. It was about honoring His Father and giving glory to the name of God. Dying on a cross as God in flesh was to show the world the majesty of a loving Father who willingly offers His only begotten Son to die for the miserable, undeserving creature on earth. The Father speaks directly to His Son a third time. At His baptism and transfiguration, God’s voice is heard clearly. Now a time of reassurance is given to a troubled soul when the Father tells His Son that He will be glorified by the sacrifice He will offer of Himself. Sometimes we need to hear the Father’s voice to have that reassurance. Jesus needed this from His Father. Everything He was doing was for the glory of the Father. While the Father will not speak to us in the manner He did with Jesus that day He still speaks to us through His word. We must die daily to serve the Lord for the glory of the Father. Like Jesus, we must hate our lives to the service of the Father and glorify Him daily in our love for Him. There are many times we are troubled and tired in the continual battle against Satan. Prayers to the Father will lift us up and He will speak words of hope and glory as we struggle to face the many crosses born in mortal flesh. Jesus knew how He would die but He still lived for the glory of God. We may not know the manner of our death but no matter what life brings we live for the glory of God. As we begin a new week let us all listen to the word of God in our hearts praying in the Holy Spirit that we will sacrifice our lives for the glory of the Father. 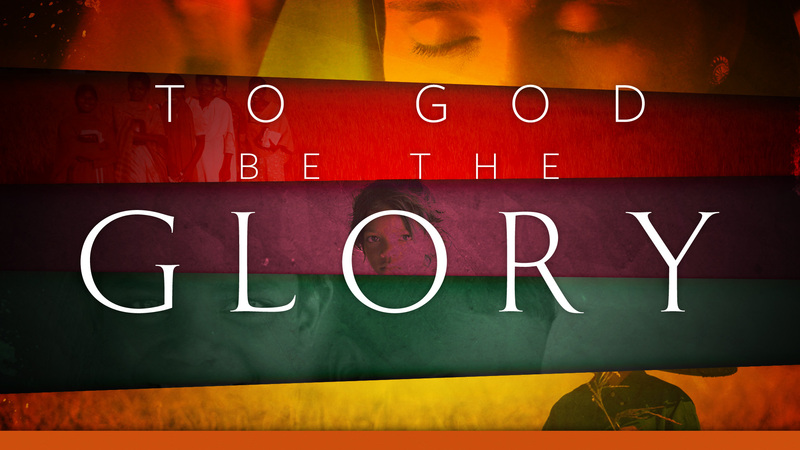 Let Him be glorified.